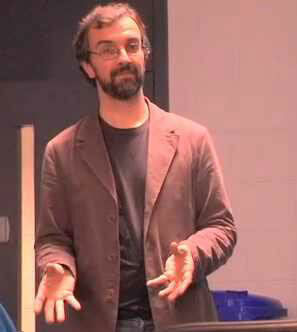 Dr Roderick Flynn is a researcher and lecturer in the DCU School of Communications. His research interests are diverse and span the social history of communication, political economy of the media, telecommunication and broadcasting policy, and the history of media technology. In recent years a major focus of his research has been on questions of media ownership and media concentration. Roddy was part of a vast international study, the results of which are due to be published later this year in a book called Who Owns the World’s Media. He wrote the Irish chapter, which covers all Irish media sectors: print, broadcast, online, search engines, book publishing, magazines, telecommunications, television distribution and so on. “The research establishes the size of the market and not just who the main players are but actually, where possible, who every single player in the market is. What we were trying to do was come up with a figure for the extent to which the market is concentrated which is characterised by one or two or a handful of players dominating the market,” he explains. There are many indices by which media ownership and concentration can be calculated, explains Dr. Flynn, and the one chosen by him and his colleagues is known as the HHI or Herfindahl-Hirschman Index. This is a widely accepted measure of market concentration calculated by squaring the market share of each market competitor, and then summing the resulting figures. “You put a number on a market between zero and 10,000. If the number is 10,000 then it is an infinitely competitive market but this is impossible. If it is zero then there is literally only one player and this is a monopoly. In the Irish market most of them were nudging closer to the zero,” he explains. The search engine market, for example, is all but dominated by Google, who holds 94% of the market share in Ireland. This project has led to another current FuJo project Roddy is working on, known as the Media Pluralism Monitor. This project is a 28 country EU project overseen by the European University Institute, which will assess the Irish media sector (as well as the other EU member state countries) according to a certain set of criteria that will measure the extent to which the media market is pluralist or not.